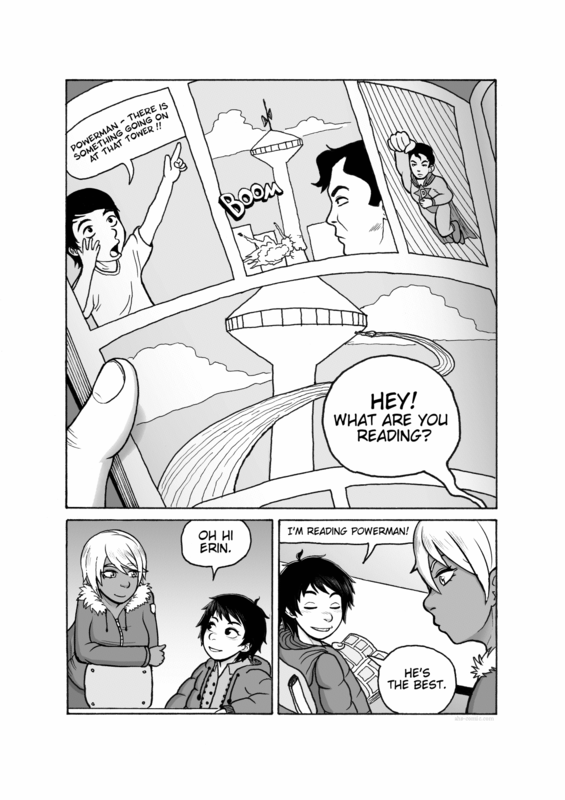 Boy: Powerman – There is something going on at that tower!! Erin: Hey! What are you reading? That’s not Luke Cage, that’s not Luke Cage at all. Yo dawg, I heard you like comics! So we put a comic in your comic so you can read comics while you read comics!